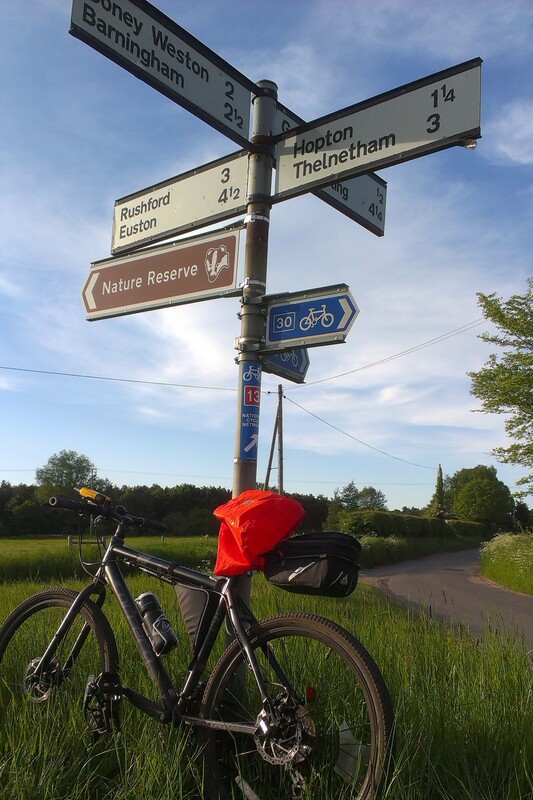 Tonight we held a group meeting in the Deer’s Leap, Thetford, with volunteer rangers from the Thetford and Waveney Valley group and two Sustrans staff members: the volunteer projects officer for the East of England, and the area manager for Norfolk and Suffolk. 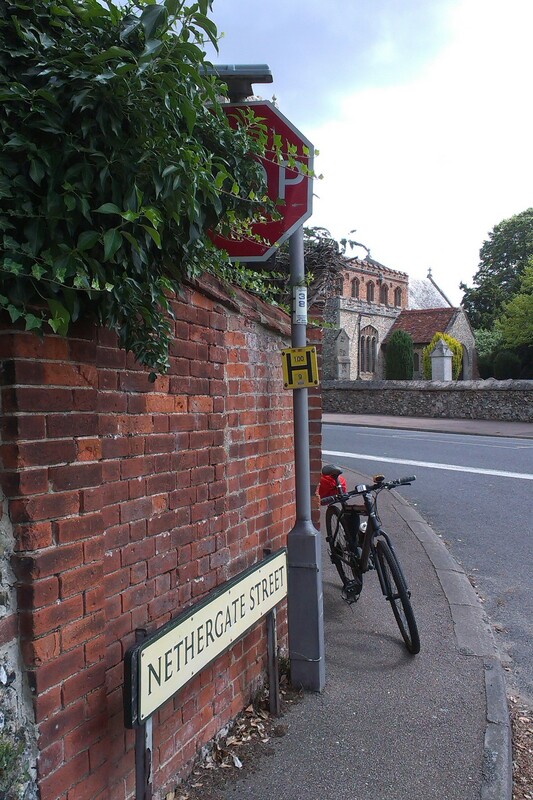 The meeting was a nice opportunity for everyone to get to know one another, and we had productive discussions on a number of issues. 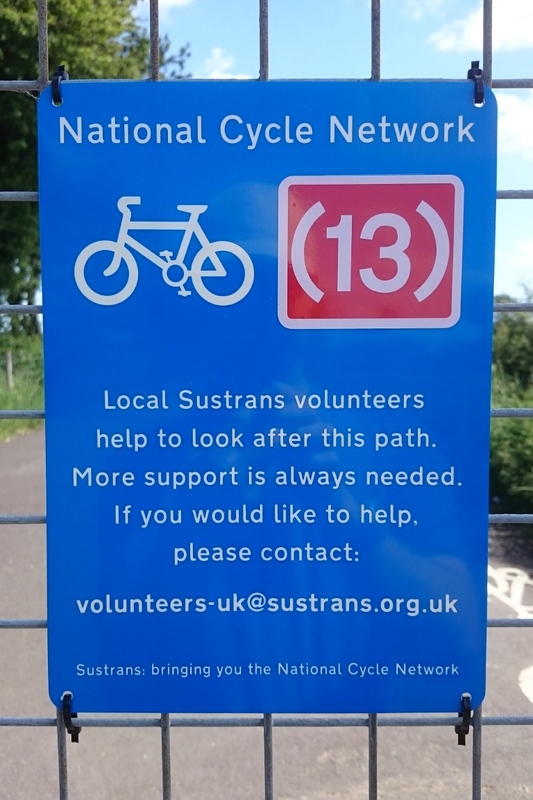 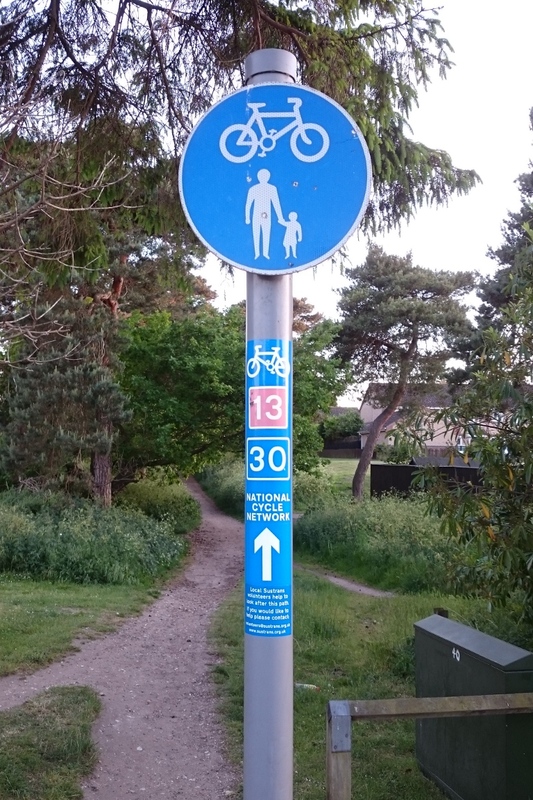 These included problems on existing routes, possible diversions and new routes, and the training and support available from Sustrans. 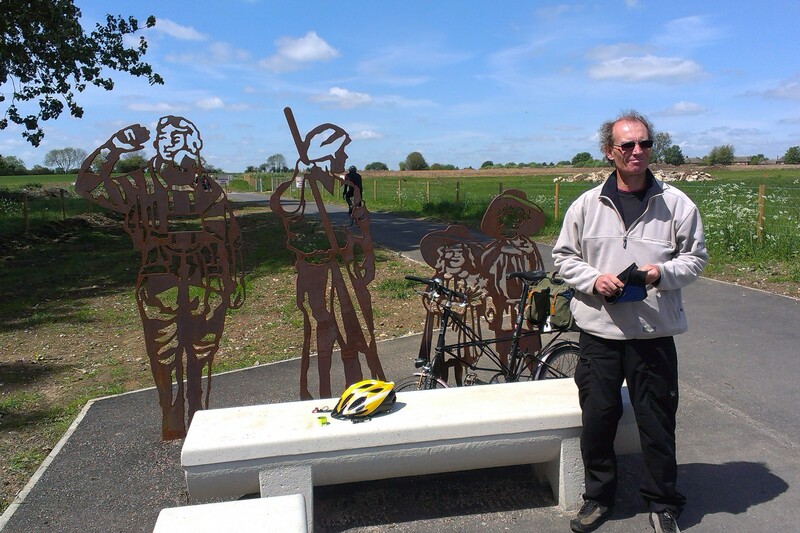 Today I went out with a new volunteer ranger to ride over the section of Regional Route 30 that they’ll be looking after. 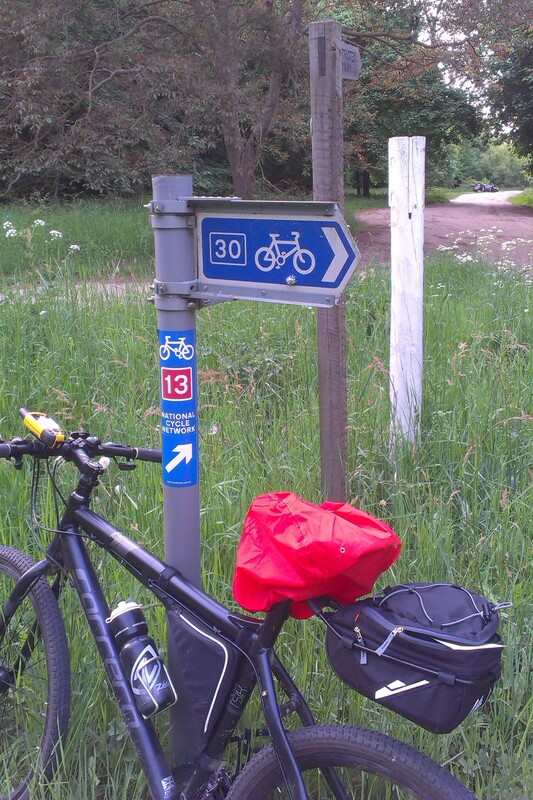 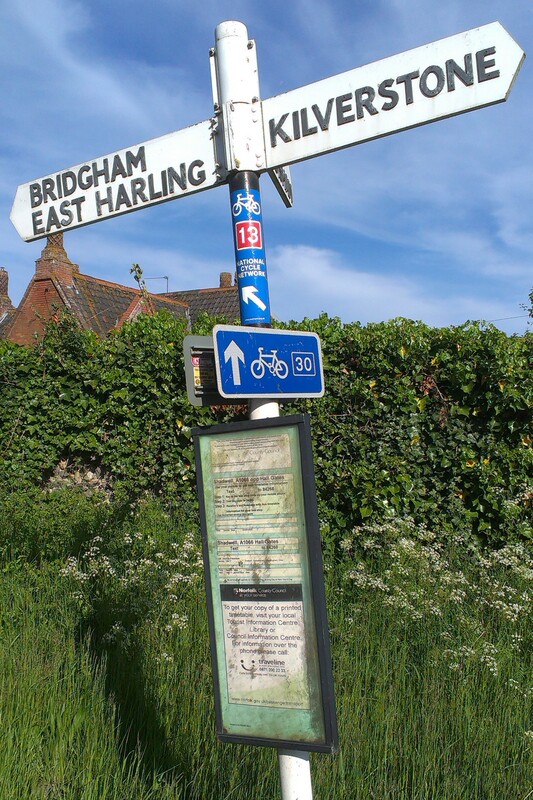 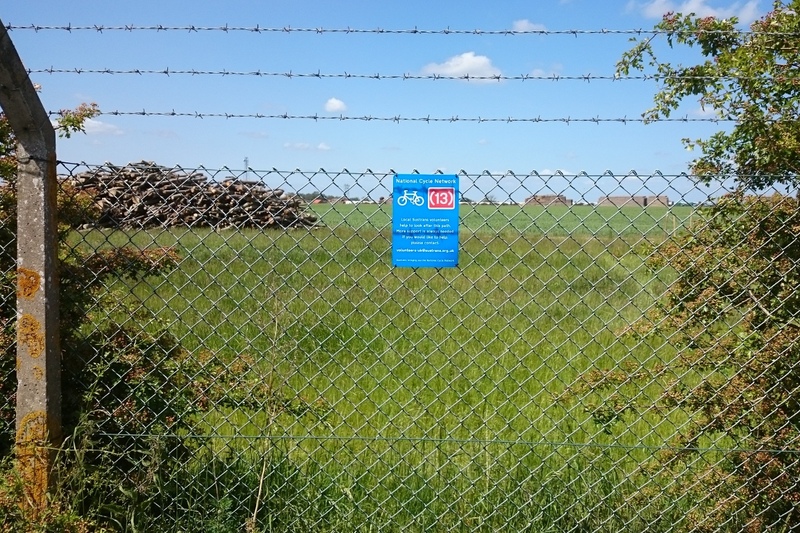 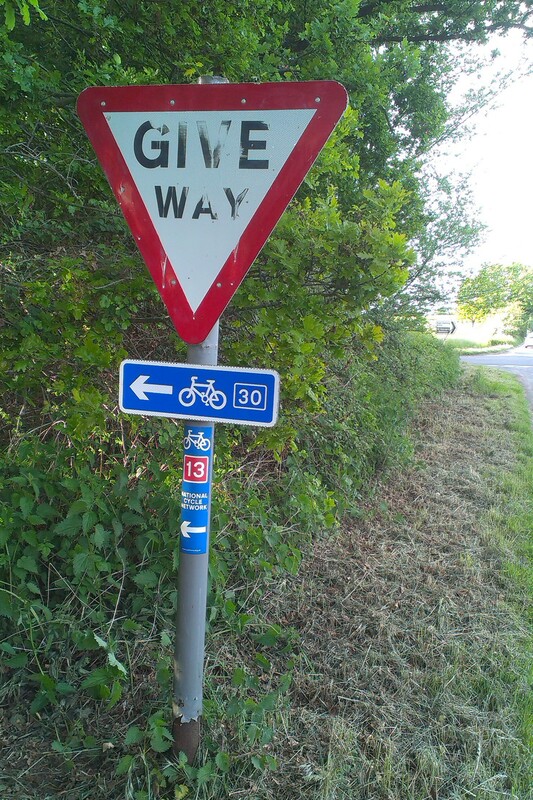 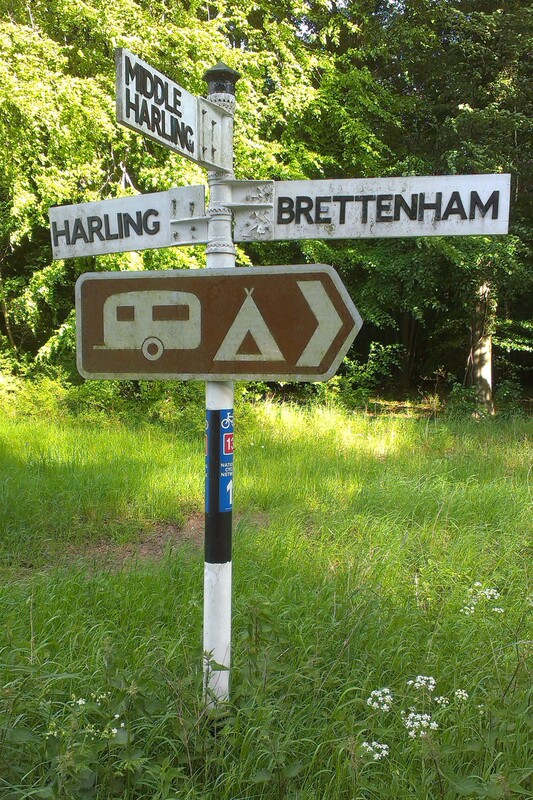 I cycled out from Thetford to meet the new ranger at the T-junction just south of Middle Harling, and we cycled together along Route 30 to Diss, before returning via Kenninghall. 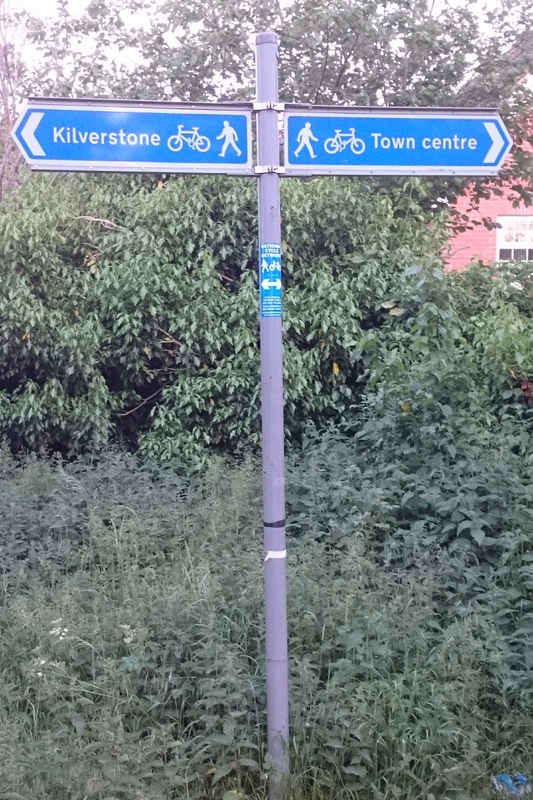 There are quite a few permanent council signs already on this part of the route, but these tend only to be at junctions. 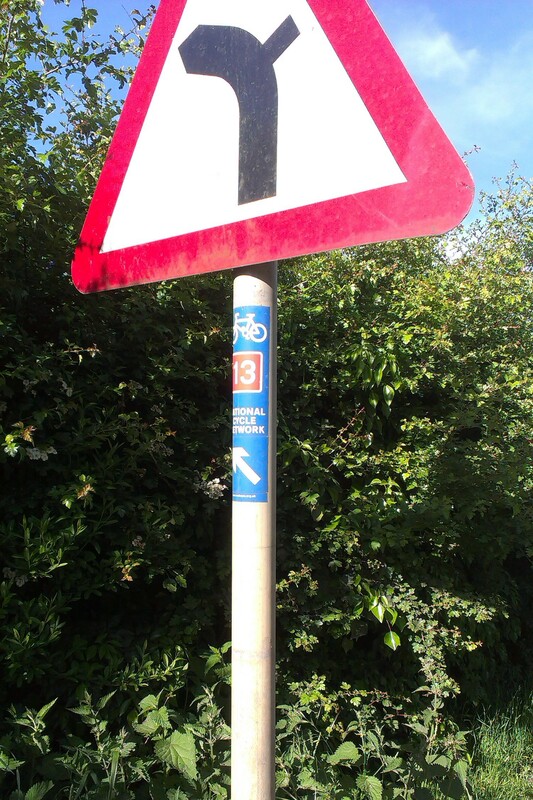 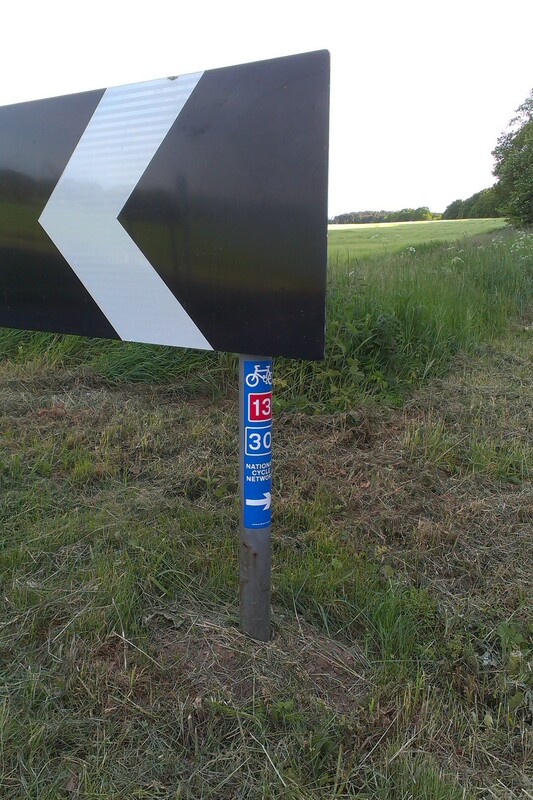 Most of the work that needs doing will be to add confirmation signs to the longer stretches between junctions. 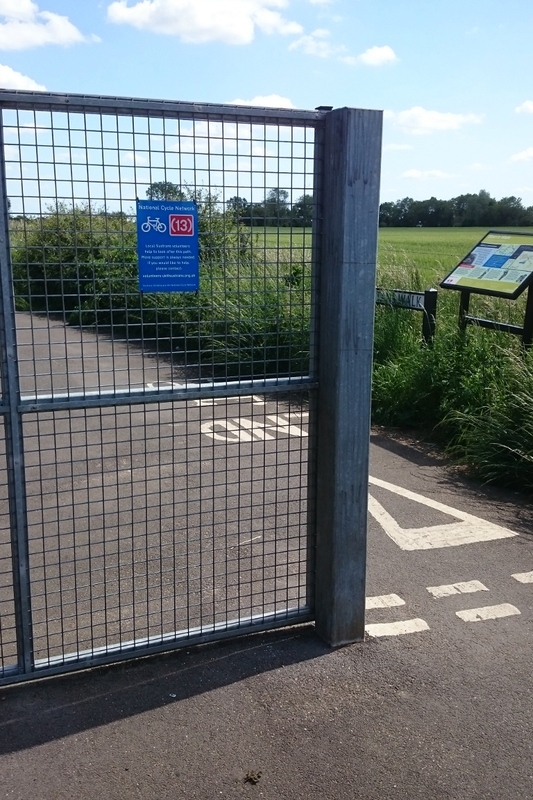 We’ll also need to check if there is (or can be) an agreed cycle link route to Diss station, and to sign it if there is. 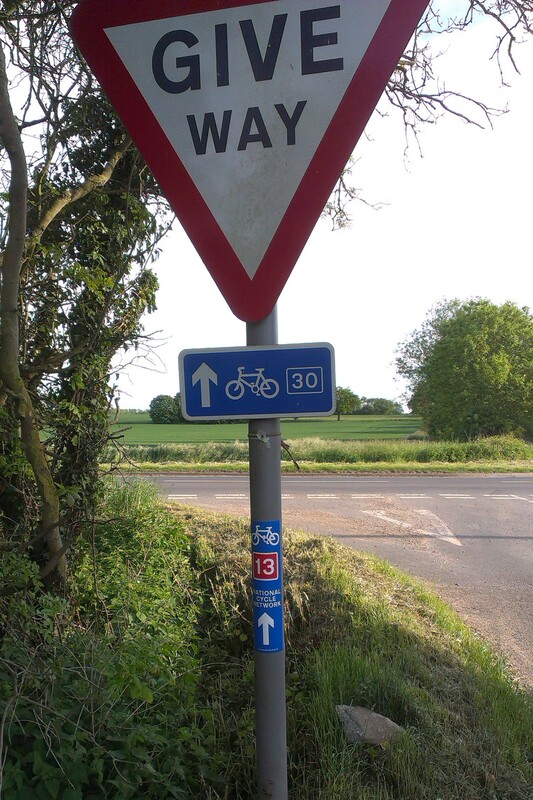 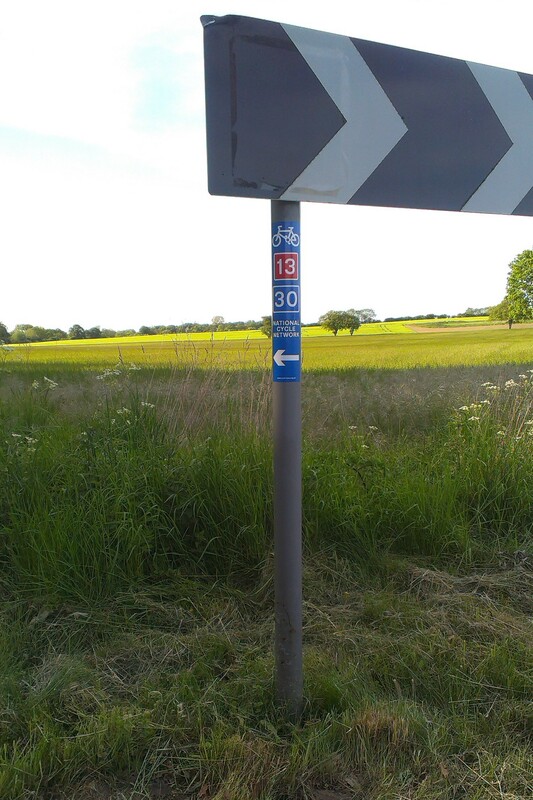 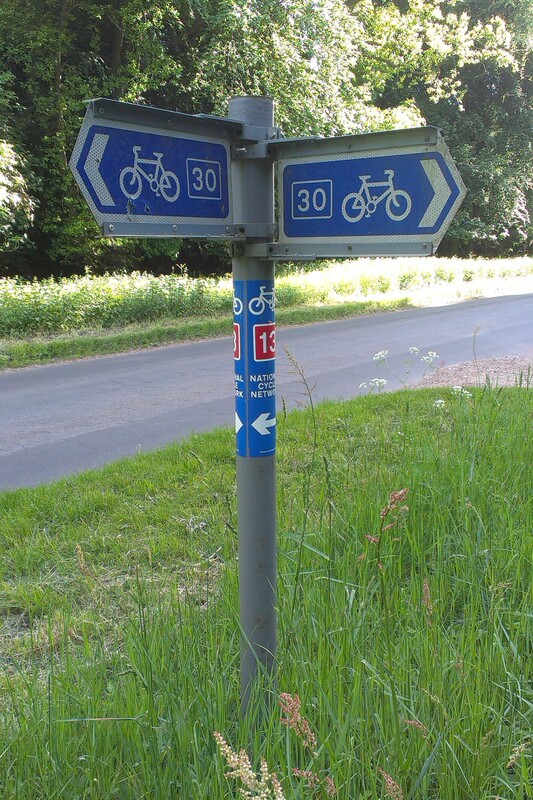 As part of a recreational ride, I had a look over the section of Regional Route 30 from Knettishall to Diss. 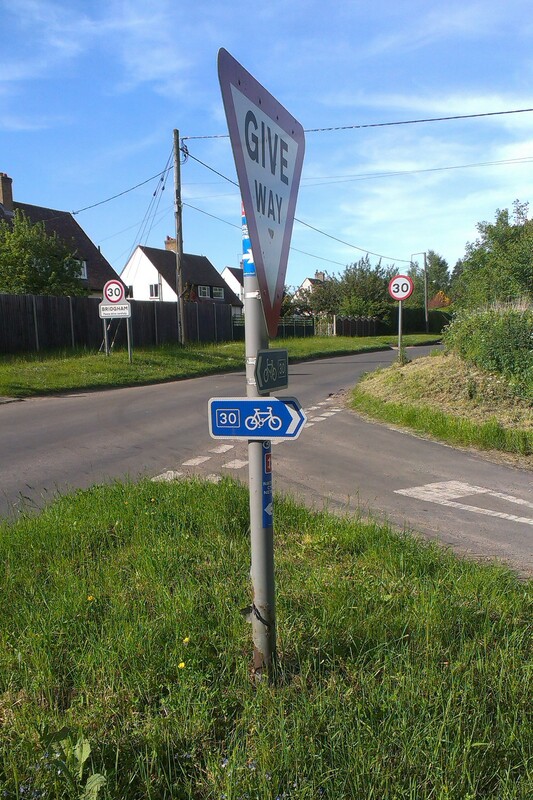 The route is all on minor roads, so there were no issues with the surface. 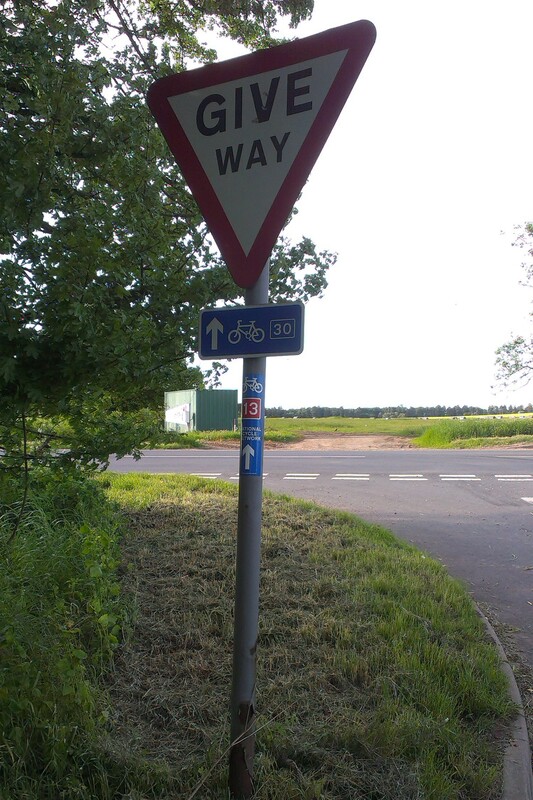 Overall the signage was good, with permanent signs at all the turning points and major junctions. 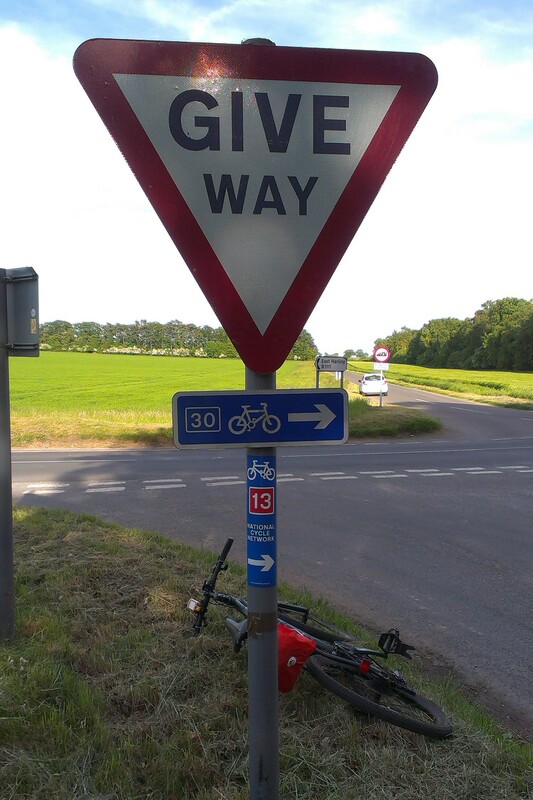 I noted a couple of issues (see below) and a few more confirmation signs would also be useful. 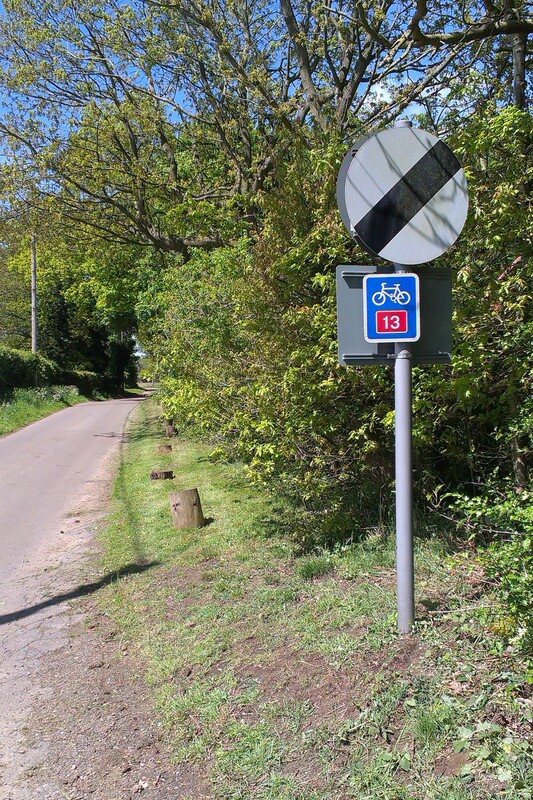 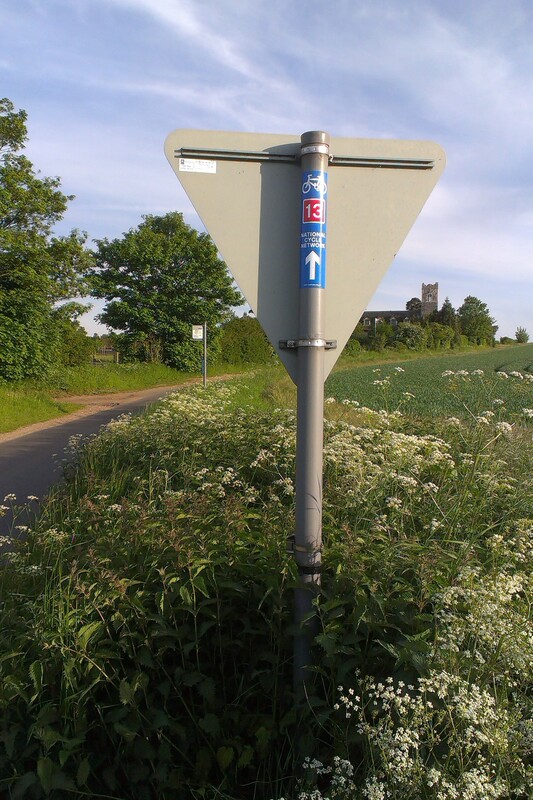 At the B1111 cross-roads at Hopton, the east-facing sign is attached to the back of a “Stop” sign. 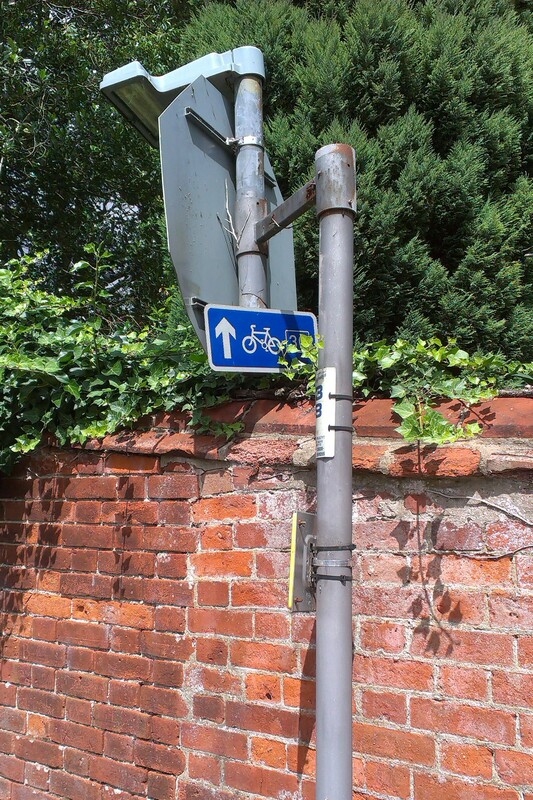 It is partially obscured as the arm of the “Stop” sign has been rotated. 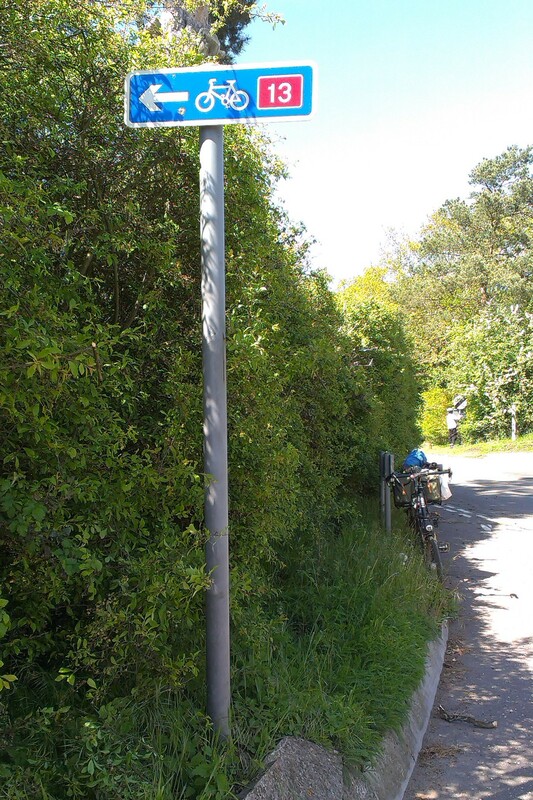 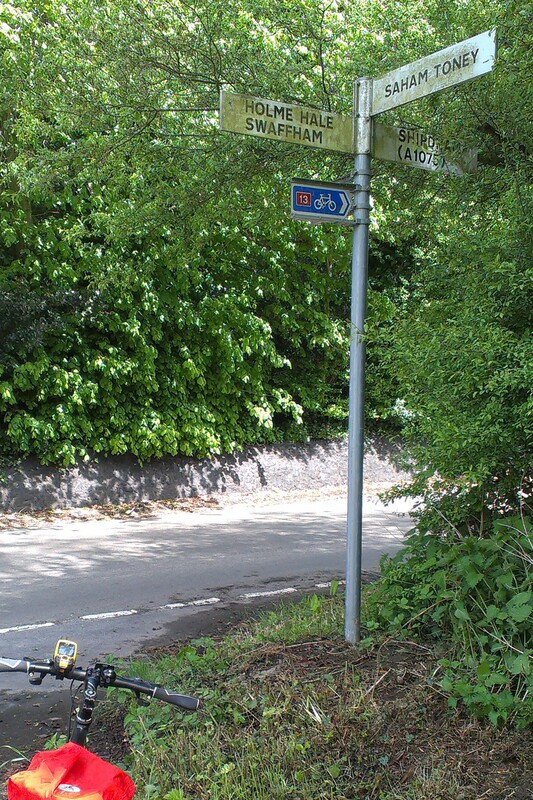 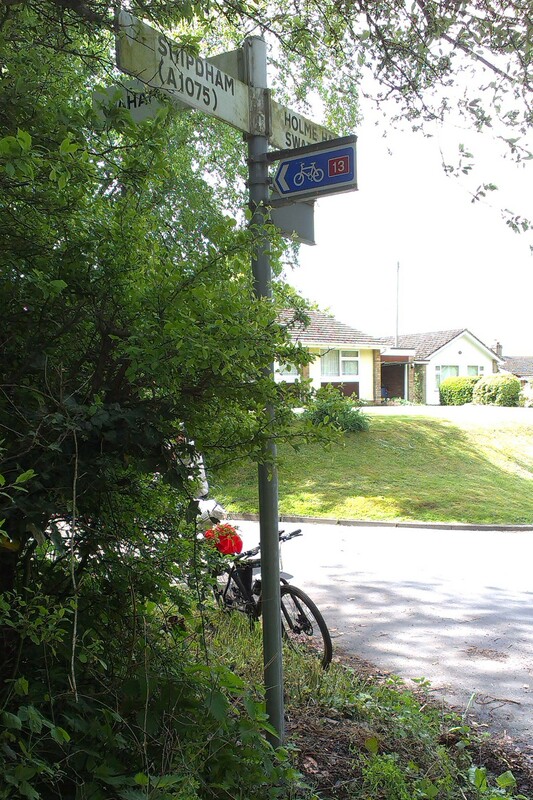 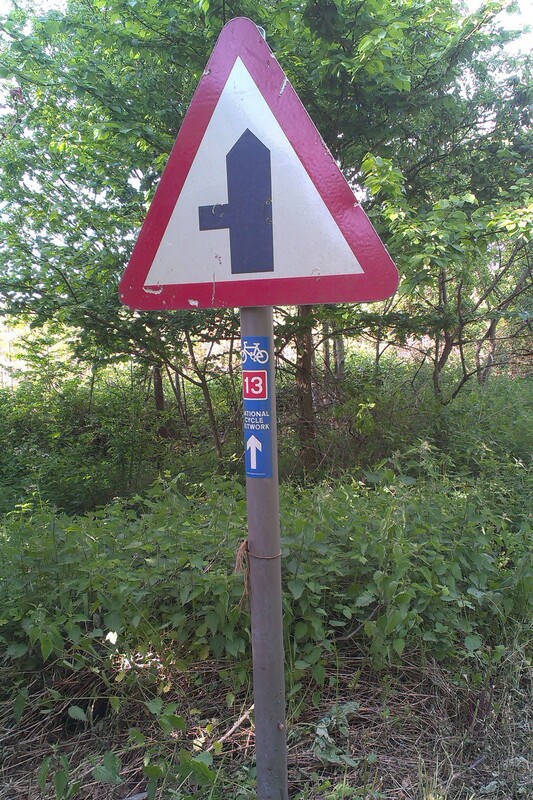 At the B1113 cross-roads at Gallows Hill, the west-facing sign is partially obscured by a garden hedge. 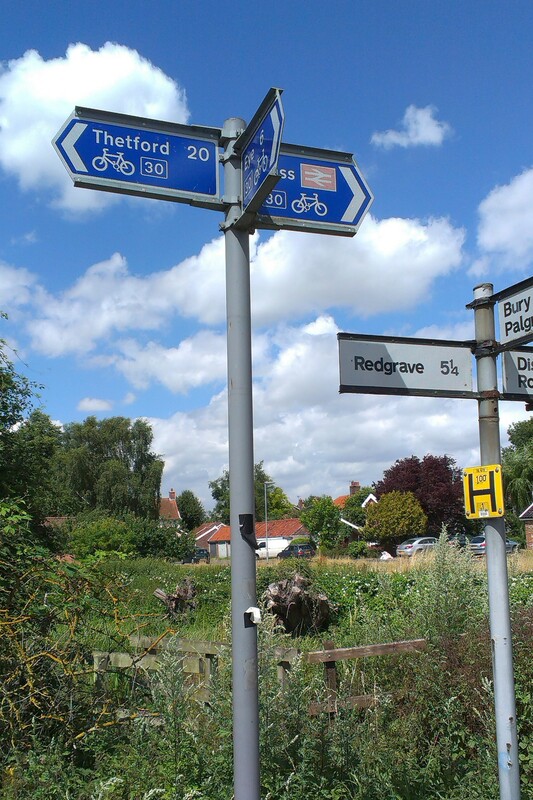 The signs in Diss to/from the station are incomplete.